All Photos are shared for your personal viewing pleasure. Most, but not all photos, are available for prints. Some photos are available for commercial usage. Please contact me at info@vincentphoto.com to discuss and confirm. 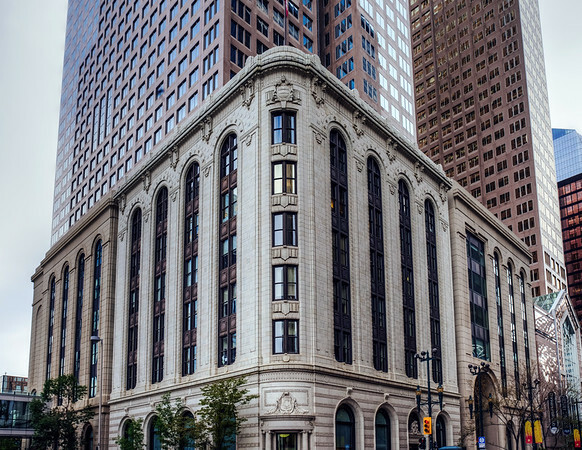 The Canada Life Assurance (Hollinsworth) Building at the foot of the Bankers Hall office complex was constructed between 1912 and 1913. It is located in downtown Calgary, Alberta, Canada.